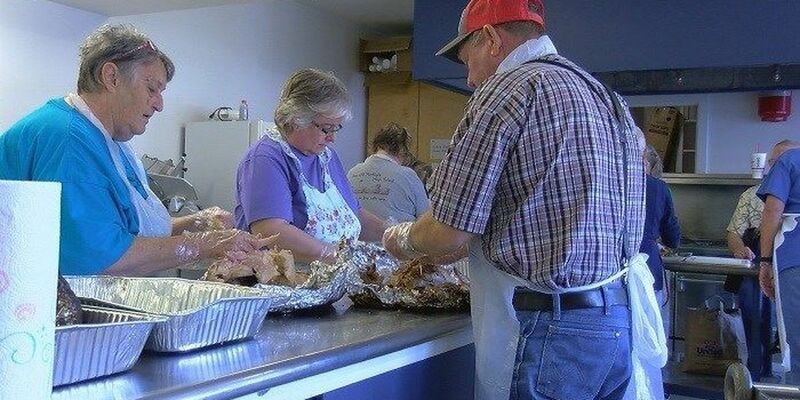 Volunteers gathered in 2016 to take care of preparations for the Thanksgiving Holiday Spirit Meal in Vernon. WICHITA FALLS, TX (RNN Texoma) - Thanksgiving is a time families come together to share a meal and remind ourselves why we are thankful for the things we have. But some people may be away from family this time of year or want to enjoy a holiday meal around members of the community. We have put together a list of free Thanksgiving meal events taking place all around Texoma on Thanksgiving Day. If you know of an event and do not see it on our list please email the newsroom to News@KAUZ.com. The Salvation Army of Wichita Falls - 403 7th Street - 11 a.m. to 1 p.m.